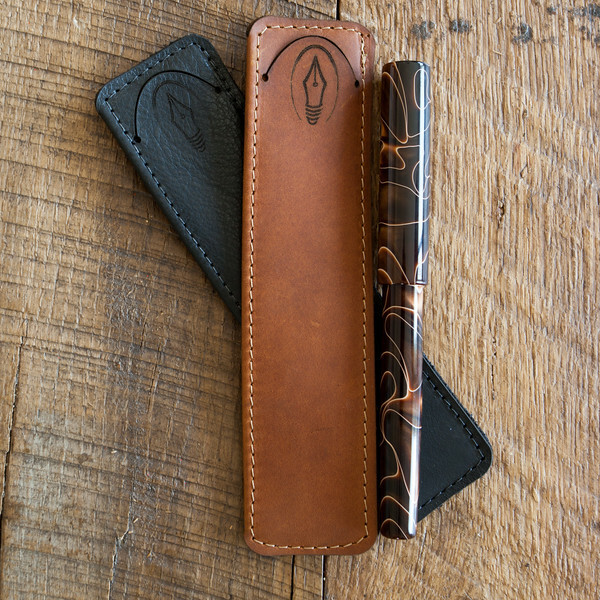 Many people who own our Huron Grande or Herald Grande cannot find a pen sleeve or case big enough to accommodate these pens as they are very large. Measuring 7 1/4″ (18.5 cm) by 1 7/8″ (4.7 cm), this sleeve is custom made to fit our largest pens and will make a nice home for our Huron or Herald Grande pens as well as many other oversized pens. 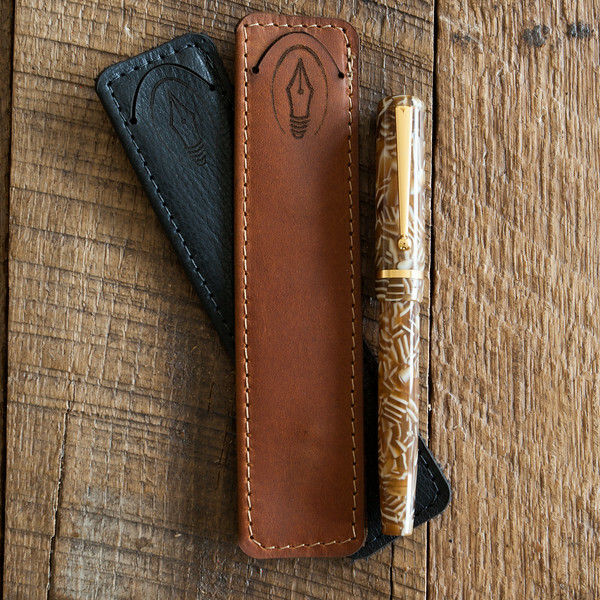 Our Medium Pen Sleeves measure 6 3/4″ (17.1 cm) by 1 3/4″ (4.4 cm). This sleeve will protect the Morgan, Huron, Extended Mina, Collier, Premiere, Menlo, Glenmont, and Herald. 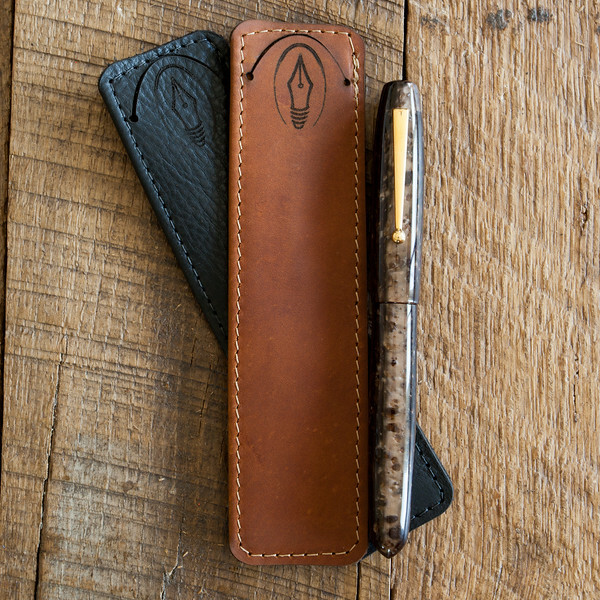 Please note – if you are ordering a pen and would like to include leather goods, simply email me your leather good request along with your pen order. No need to use the “Add to Cart” button. Use this button to purchase leather goods by themselves.